Decided to spotlight this one this week because I absolutely adore this book and I think it deserves more love than it gets. It gave me ALL the feels! I am in love with this song! This past week was the 20th anniversay of the opening of Rent on Broadway, so they posted this awesome mash up of the original cast and I just had to share. This is one of the best plays I have ever seen and I absolutely love the movie. I would have killed to see the original cast, but I was much too young when this premiered haha. I really do need to get to The Queen of Bright and Shiny Things. I was so excited about this one after reading Ann's NA series. But, for some reason, I just never ended up reading it. Rent. <3 <3 <3 I'm going to save this video for later this afternoon. I've seen it twice live, once with Adam Pascal and Anthony Rapp. There's just nothing like it. 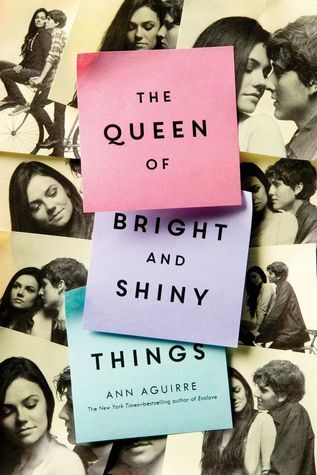 I love Ann Aguirre, and this is my year to read TQoBaST! I can't wait!